I thought, "God, why don't You do something?" That's one of the first times I really "got" it. Enough talking, I needed more action. And, that's exactly what the Summer of Service challenge is all about. It's a weekly challenge meant to inspire you to go out and do something. 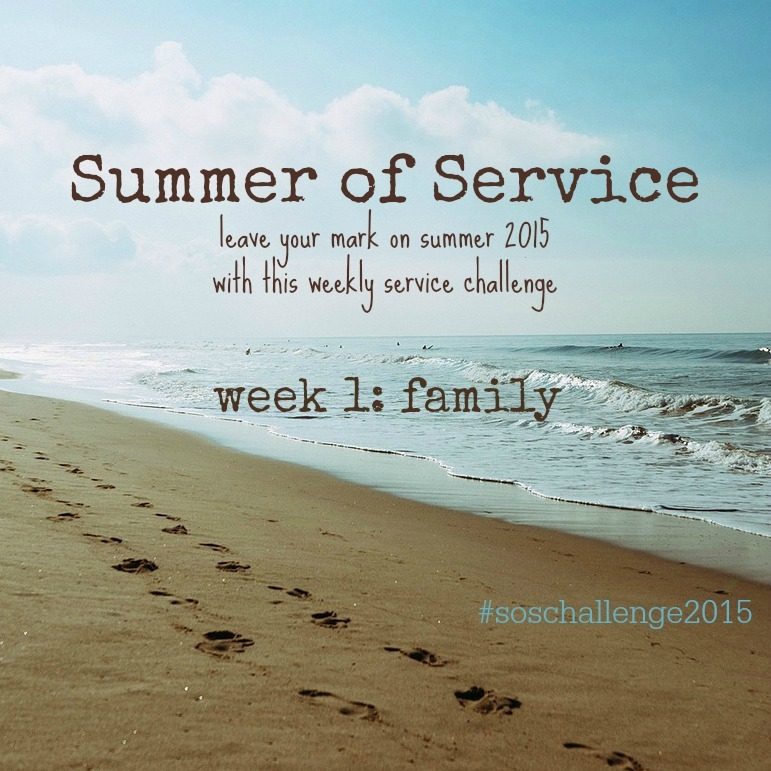 What if we joined together to do one service challenge at least once a week? Think of the ripple effect it could have! As I was working on this project, I was asked to join forces with some amazing ladies on a similar project. I thought it was the perfect opportunity to merge the two! 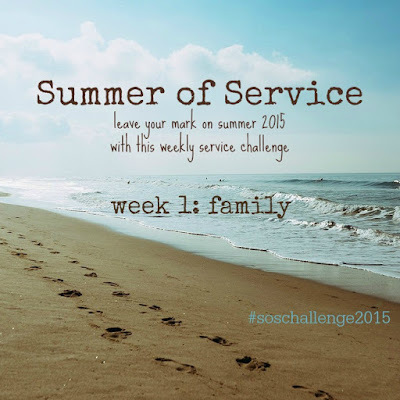 Each week I will share with you a new prompt for that week's service challenge. 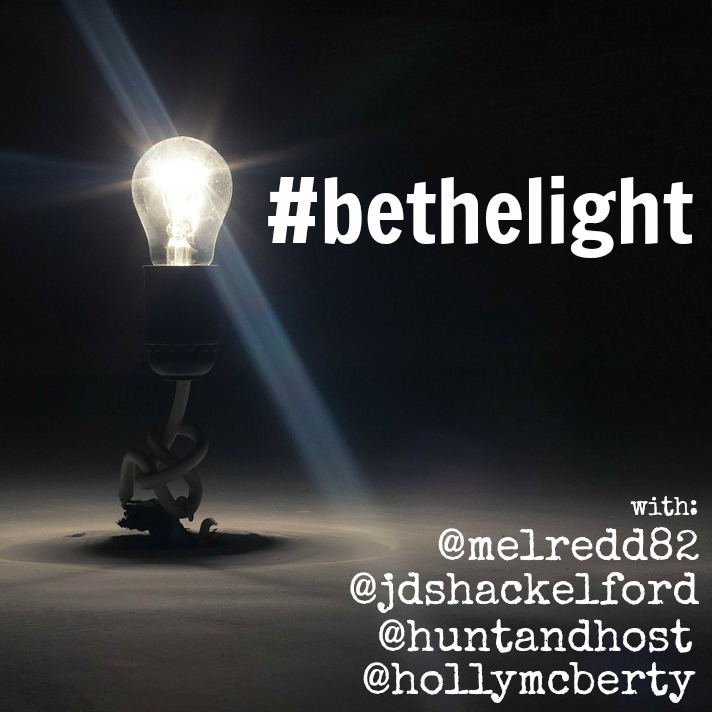 Join me on Instagram and tag your pictures with #soschallenge2015 and #bethelight. Follow each of us and we will pick a favorite to highlight on all of our accounts each Thursday. We hope you will join us! This week's theme is: family. To me it's so easy to serve others while missing out on the ones right under my own roof. I've put together a list of easy ways to help us serve our families this week (and every week after). *toss your To Do list and work on your Bucket List! *have a Family Movie or Game night - don't forget the popcorn! *call a babysitter and head out for a date night with your hubby! I think there are actually quite a few on here that I could do this week. What about you? It's alright, "somebody else will do something"
I'm gonna do something - will you join me? 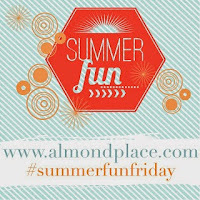 Thank you, Keri from Living In This Season, for featuring week 1 of our Summer of Service! Much love! I LOVE this! I will be joining in for sure! You are doing such an amazing job and sharing God's love through the littlest of deeds, like writing on your blog. I think this is going to be a great summer! Thank you so much! I've learned that you can't wait for things to happen - you've got to be intention - and it truly is the little things that mean the most! I'm so happy that you'll be joining me! I agree - it's going to be a great summer! What a great series! I'm excited to follow along. I hope that it inspires many (myself included) to be His hands & feet...and serve! Thanks, Emily! I'm so happy that you are joining us! I too hope that it inspires lots of us to get out there and do something! Oh, and you should totally get on Instagram! ;) It's my favorite social media! Holly another great idea to serve others. I love this. So glad to join you and be challenged by you. Thanks, Kim! It's fun and I'm glad we found each other on this journey! Thank you, Melanie! I know your college kids were so happy to have you with them! That's hard for me too - I think, "hang on just two seconds, I'll be right there" but by then they've moved on. I have to remember to be intentional because, before I know it, they will be in college too! Thanks for stopping by! This is a great idea, and although I am not on instagram, I am pinning this and will be following your posts. Thank you for the encouragement to put my faith into action! Thanks, Gwen! 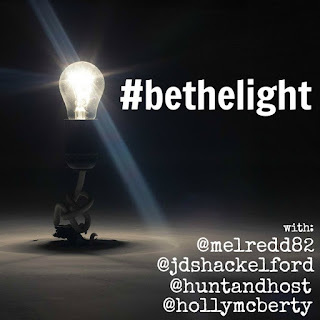 Even though you aren't on IG, I would love to have you help me spread the word! Blog posts are great and a super way to encourage others. I get so much inspiration (and so many great ideas!) from others that I want to give back too! I'm glad you found me and I look forward to sharing this journey with you! This is such a wonderful idea! The Christian blog community is the perfect place to spur each other on, iron sharpening iron. I too have been feeling convicted of late on whether I am serving enough sacrificially. Thank you for sharing suggestions to lead us to be the hands and feet of God. Thank you for your sweet words, Karen! We're all in this together and I look forward to serving with you! Thanks for stopping by! Such a good idea! I'm really excited about this! Thanks, Keri! Happy to have you walking this path with me! Great ideas, I am going to pass this on to my daughter in law. It's so easy to let life pass us by, glad to read you risking your time on things that will reward you and bring glory to the Lord. Thank you, Betty! It is so easy to get wrapped up in yourself. I've learned that I have to be very intentional to avoid this. Thank you for sharing and thanks for stopping by! Such an inspiring idea! I love that you are starting with family. I feel so strongly that summers should not be about endless camps and entertainment. My kids are old enough to help with a VBS, a band camp, babysitting for free, etc. Gonna tweet and pin! Blessings! Coming to you from #EspressosofFaith via #Mom2MomMondays! I'm not sure where my comment went…sorry. I love that you are starting with family! This is a great inspiration. My kids are old enough now that they can help with a Vacation Bible School, a local missions, free babysitting, helping mow a lawn, etc. I feel so strongly summers aren't just for camps and entertainment. Pinning, sharing, and tweeting! Thank you, Bonnie! Service is something that I feel so strongly about and it's something that I want our children to "get". Community service isn't a punishment - it's a privilege and honor! I look forward to serving with you this summer! Thank you so much for sharing! Holly, this is right "where I am" now, as well -- trying to be intentional about things, service being part of that. Sometimes I think we get caught up in semantics when we see the word "service," and automatically our guard goes up. We think of extra work we don't want to do, extra time we don't have, and one more extra commitment we don't have space for on our busy calendars. Your list of ideas for serving your family are really ways to express love and show them they are special. And really, isn't that often what "service" really means? Yes, there are times it takes a lot of elbow grease, and there are other times it just takes a little bit of attention. Thank you for this reminder, and I plan to join you in your #soschallenge2015! :) I am setting up a public Instagram account from my blog today, so look for a post! :) Sharing this post, too! Visiting here from #ThoughtsforThursday @ East Coast Chic. Hi, Wendy! I'm so glad you will be joining me! What's the name of your blog? I would love to serve alongside you! I agree with you fully - I think so many time service is seen as punishment and it really is an honor! YES! Service is all about love! Love when others "get" what I'm trying to do! :) I'm so glad you stopped by! Visiting from Vanessa and Penny's link up today. I love this post! I have found that "while I'm waiting" has become a theme in my life as well - My heart desires many things that God has decided not to bless me with just yet and I have chosen not to sit around idly waiting, but keep living my life for Him, doing His work instead. Thanks for sharing from your heart. Hi, Stephanie! I'm so glad you stopped by! Thank you for your sweet words! I feel like I'm in a constant state of waiting - and that's ok! I just want to be intentional with what I do while I wait... :) It's fun to "meet" people who feel the same way! I hope you have a great day! Thanks for stopping by, Katie! Anything fun on your bucket list that I should add to ours?! Always looking for fun new ideas! I love this! We are trying to make our summer all about family so I love this idea and your suggestions! The thing we forget is always date night! Us too! And, technically it wasn't a "date night" as it was an event we had to attend. But, we did have to hire a sitter and we got to ride in the car with just the two of us so we'll pretend it was a date! :) Date nights are so important - and I really want to make a point to not let them slide on what's important. I'm so glad you are on this journey with me! Thanks for stopping by! I like the idea of being purposeful in spending time on serving others, Holly. And you're right, sometimes we forget about those closest to us. Our vacation this summer will be at the beach (with lots of extended family), and (while I really like to walk by myself) my plan is to take one of the kids with me on my walk each morning. Abi, that's a great idea! I know your kiddos will love the one on one time with you! Those talks are some of the best! I hope you guys have a great vacation! Thanks for stopping by! An awesome idea. We were put on earth to serve (I call it sheltering) others. And we cannot follow in Jesus' footsteps without it. Thank you Pamela! I love how you refer to it as sheltering! I hope you'll "shelter" with us on our Summer of Service! Can't wait to join y'all next time! Loved the pic from today! We look forward to having you guys!!! 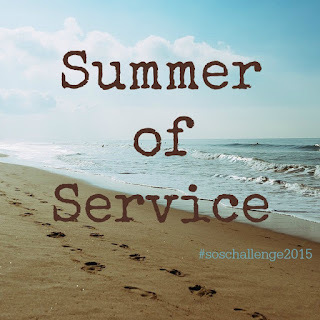 I love the idea of having service be your focus for the summer. That is a wonderful thing to do with kids. It helps them to be less self-centered and more others-centered. 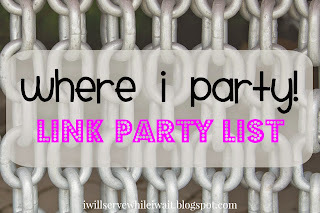 Thanks for sharing at Grandma Ideas Sharing Time link up! Thanks, Nina! In a world filled with me-me-me, I've learned that we must intentionally shift our focus. 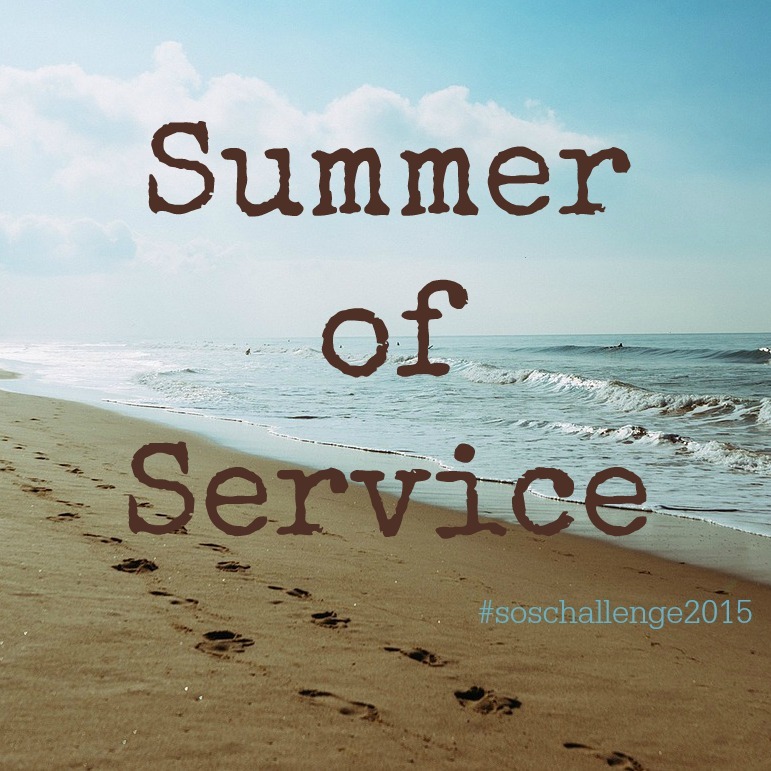 It warms my heart when my kiddos ask me what we're doing that week for Summer of Service! It's even more fun when friends serve along with us! Thanks for hosting! I'll be back!